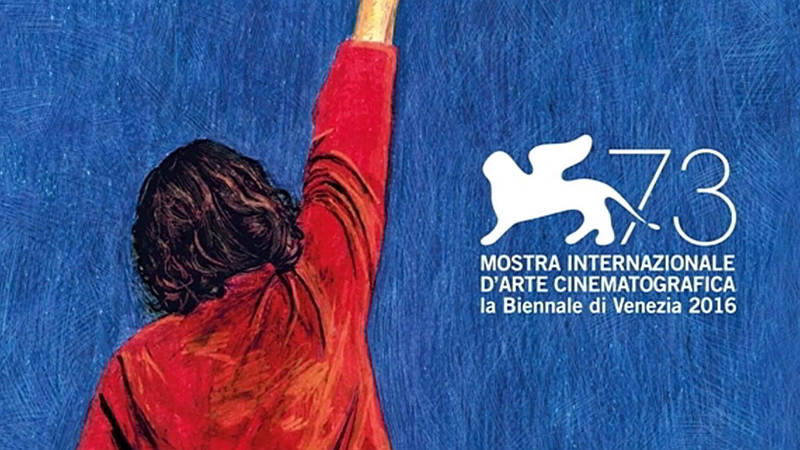 With a star-studded line-up but no opening night gala to present them (the event was cancelled at short notice in solidarity with the victims of the powerful earthquake that hit a stretch of central Italy on 24 August), the Venice Film Festivals puts the focus right on the films of this year’s promising selection. The first film on show to ring in the 73rd edition of the festival on 31 August is La La Land, Damien Chazelle’s light-haerted musical follow up to Whiplash , while Antoine Fuqua’s remake of The Magnificent Seven will serve as the closing film on 10 September, following its world premiere at TIFF just two days before. Among the 20 titles competing for the Golden Lion this year are Denis Villenueve’s Arrival , which stars Amy Adams as a linguistics expert recruited by the United States government after an alien spacecraft lands on Earth, and Tom Ford’s Noctural Animals, a thriller set in the L.A. art scene and the Texas criminal underworld. Ana Lily Amirpour’s highly anticipated second feature, the dystopian love story The Bad Batch, will also screen in competition along with The Light Between Oceans, Derek Cianfrance’s follow up to The Place Beyond the Pines, Francois Ozon’s foray into period drama with Frantz and Pablo Larrain’s Jackie, a biopic of sorts of Jacqueline Kennedy Onassis. Also worth of note are Amat Escalante’s The Untamed, the Mexican director’s second feature after the critically acclaimed Heli which premiered in Cannes in 2013 and Brimstone by Dutch director Martin Koolhoven, hailed as a female empowerment Western about a woman falsely accused of a crime. The more cutting-edge Horizons sidebar, another competitive section that runs parallel to the main selection, features Kei Ishikawa’s Gukoroku, a promising debut feature about a multiple murder in Tokyo, alongside Bill Morrison’s Dawson City: Frozen Time, based on a collection of some 500 films dating from the 1910s and ’20s found buried in a sub-arctic swimming pool deep in the Yukon. This year’s documentary offering is as strong as ever including Andrew Dominik’s Nick Cave & The Bad Seeds documentary One More Time with Feeling and Safari by Austrian maverick Ulrich Seidl, about trophy hunting in Africa. Screening in the Venice Classics strand is David Lynch The Art of Life, the third in a trio of documentaries about Lynch by filmmaker Jon Nguyen who collaborated on the last instalment with Victoria co-writer and editor Olivia Neergaard-Holm, while the Italien Horizons entry Liberami looks at the dramatic increase in exorcism in the contemporary Catholic Church. The standout Italian offering in the official selection however is Paolo Sorrentino’s TV series The Young Pope, starring Jude Law as conservative, cigarette-smoking American pontiff Pius XIII, of which the first two episodes will be presented as a special event. Plus, we also look forward to Japanese manga movie Gantz:O by Japanese director Yasushi Kawamura which will play out-of-competition as a midnight movie.